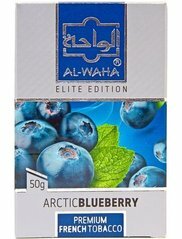 Hookah shisha comes in many different flavors, sizes, shapes, and brands, but picking out a specific size of flavored tobacco is very important in the selection process. 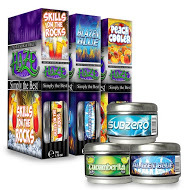 Hookah tobacco sample size packs are ideal when trying an assortment of hookah shisha flavors without investing too much into any specific flavor or brand. 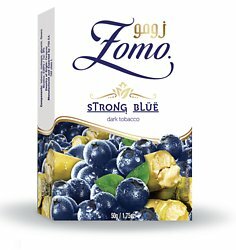 Find the most popular flavors by the biggest names in hookah, now available in hookah tobacco sample size portions from SouthSmoke.com. 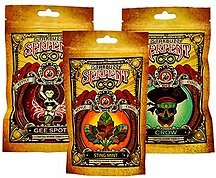 Sample packs are usually 50g to 100g in size and offer the hookah user a few smoking sessions to experiment with the brand and flavor of choice. 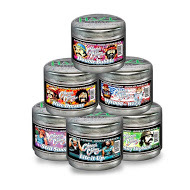 Whether you're looking to try a new brand or are branching out with different flavors, hookah tobacco sample size packs provide an affordable entry point into a world of new hookah experiences. 50g sample packs make approximately 2-5 bowls. 100g sample packs make approximately 4-7 bowls. 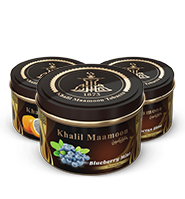 Sample size containers provide just enough hookah tobacco to help you decide if it's right for you. And at an affordable price, you can ensure you won't be spending a bunch of money on a flavor you don't like. Normally, you might feel overwhelmed with so many options to choose from. 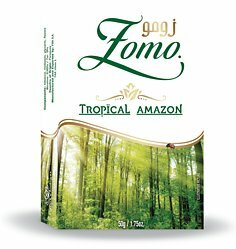 After all, hookah tobacco comes in every flavor imaginable -- and then some! Simple flavors like Cantaloupe, Grape, and Strawberry can satisfy hookah smokers old and new, but unique flavors like Fantasia's Jolly Molly or Starbuzz's Double Apple can take hookah sessions to new heights. But you'll never know if a flavor is for you unless you try. Once you finally decide on a flavor, you may not like it as well as you thought you would. If you went with a full 250g size container, you'd be out of luck. Sample sizes in 50g and 100g let you try flavors without committing to a full-size container. 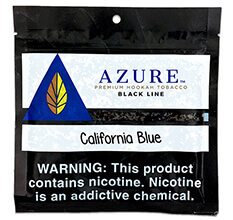 All the hookah tobacco flavors we carry are proven household names. However, their reputation does not guarantee you will like the flavor you choose. Sample sizes make experimentation with many different brands possible. 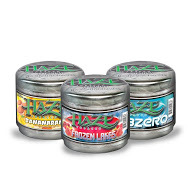 Additionally, if you're the type of hookah smoker who enjoys trying lots of different flavors for a constantly fresh hookah experience, sample sizes are perfect for you! Variety is the spice of life -- try out a new hookah flavor today from SouthSmoke.com!